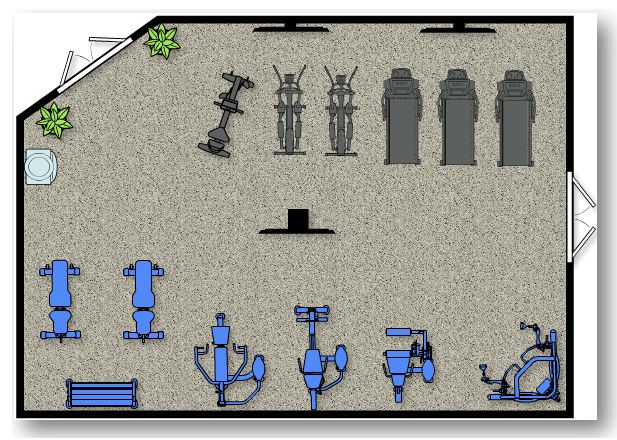 The Tuff Stuff Room Planner (powered by Icovia) allows you to personalize a fitness facility or home to meet your specific needs. Our room planner is easy to use, simply drag and drop the icons into your layout to create your very own customized floor plan. 1. Launch the Room Planner and create your room. 3. Save your room plans, print it out and bring it in to one of stores.